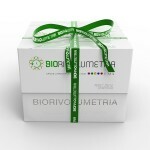 BIOREGEN is an injectable medical device in the form of a sterile and absorbable gel based on HYALURONIC ACID, It performs a bio-inductive action on tissues and reduces superficial skin blemishes of the FACE and BODY, by HYDRATING and RESTORING THE DERMAL TISSUE. 1 pre-filled mono-dose/mono-use sterile syringe. 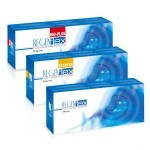 Regenyal Idea BIO-EXPANDER is a remarkable Biorivolumetria product, that enables a complete rejuve- nation of the face through volumetric correction and tissue re-structuring. The product integrates perfectly and restores natural shapes in an extraordinary manner. The main component is cross-linked Hyaluronic Acid of non animal origin and obtained through bacterial fermentation. to apply to the patient’s sheet for product traceability. Regenyal Idea is a re-absorbable biorivolumetria product (sterile, apyrogenic and physiological gel) used as filling material in corrections of medium kind of skin sagging of the face. to stick to the patient’s medical records for product identification. Regenyal idea lips is a product created exclusively for interventions on lips. 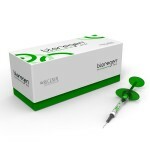 1 pre-filled mono-use syringe (75 mg of reticulated hyaluronic acid in 3 ml buffered physiological solution). Dermo Q•ore Cream is indicated in all dermatological affections in which there is an alteration of the cutaneous barrier with consequent dehydration, exfoliation and reddening. Therefore it is useful in the case of atopic dermatitis, seborrhoeic dermatitis, psoriasis, eczema, xerosis and cutaneous reddening. 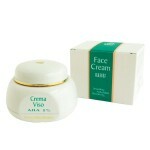 Thanks to its re-epithelising properties it is also indicated for use after treatments of superficial chemical peeling. 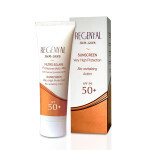 This sunscreen offers a very high protection (SPF 50+ ) and a bio-revitalizing action. 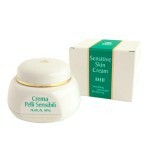 Regenyal cream enhances cutaneous moisturizing preventing the desquamation associated with cutaneous Xerosis. Due to the abovementioned properties, the cream is indicated for use in the prevention of all cutaneous pathologies, such as Ichthyosis or Atopic Dermatitis, which modify the level of moisture in the skin. The association between Hyaluronic Acid and the specific active principles makes Regenyal cream the best for the maintenance therapy after intradermal and/or bio-revitalizing treatments.